The B10 Cryogenic Diamond Detector has been designed for operation in cryogenic environments and in UHV vacuum. This detector can be operated at temperatures as low as 1.6 K and at vacuum levels of 10-9 mbar. 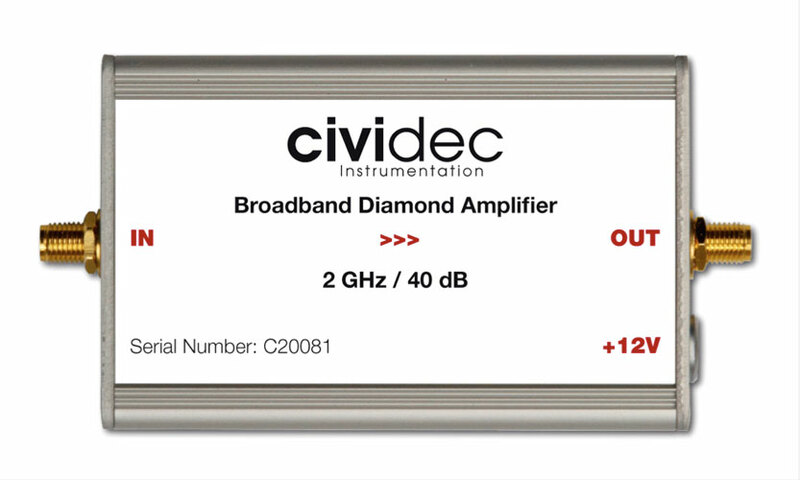 In combination with the C2 Broadband Amplifier, 2 GHz, 40 dB the dynamic range of the B10 Cryogenic Diamond Detector is 1 MIP – 1000 MIP (minimum ionizing particles) per bunch. 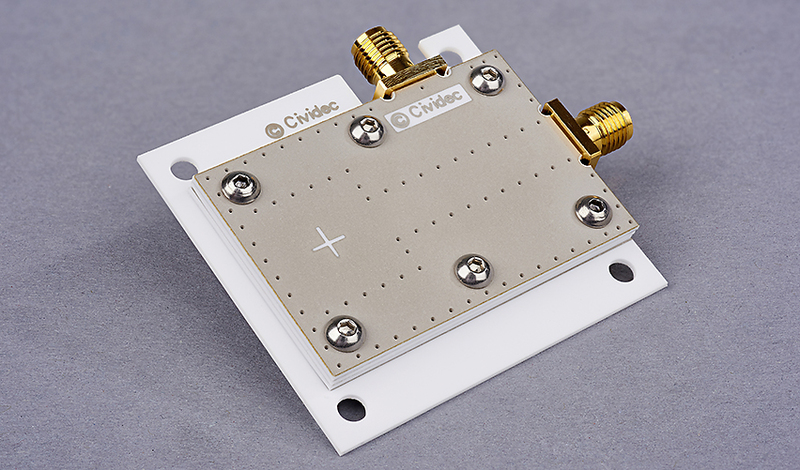 In combination with the C1 Broadband Amplifier, 2 GHz, 20 dB the sensitivity ranges from 10 MIP - 10’000 MIP per bunch. The B10 Cryogenic Diamond Detector was developed as a beam instrumentation device for the Large Hadron Collider LHC at CERN, Geneva/Switzerland. The detector is installed inside the cold mass of the LHC, placed directly in the core of quadrupole magnets, close to the beam pipes and is operated at cryogenic temperatures of 10 Kelvin in vacuum. The Cryo-DBLM allows to detect very low bunch-by-bunch particle losses in the accelerator, which enhances the machine protection.